The exterior of the building that houses the store. Despite the large poster and sign outside, I’d walked past it several times without noticing it. The store is on the second floor (first to we Brits). Perhaps not from the very minute I started this blog, but fairly early on,I realised that, with a fair number of blogs relating to Taiwan already out there, I wanted it to be a little different. I don’t mean stylistically, though that too, but in the actual content I would present. Generally I try not to write about stuff other people are writing about and, if I should sometimes stray from this defining maxim, stumbling down well-traversed paths, in doing so, I try my damnedest to leave deeper footprints than those who’ve gone before. 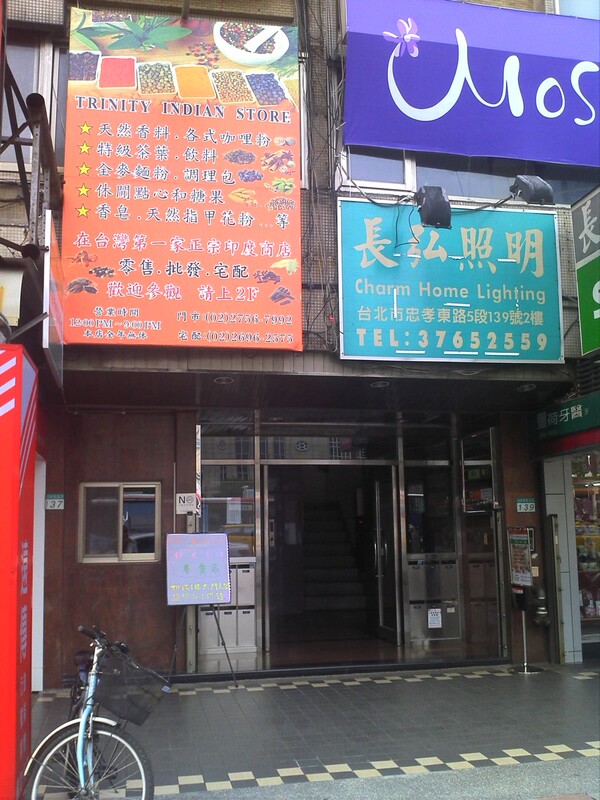 Trinity Indian Stores is well-known to gourmands, restaurateurs and most Taipei old hands worth their cardamon seed. When I finally managed to locate it just a couple of minutes walk from where I’d been doing some voice recording yesterday, I felt like I usually do in secondhand bookstores: giddy with excitement at the breadth at so much good stuff ; picking up everything in sight and replacing it without even properly looking; wanting to buy everything and invariably walking out with nothing. In fact I did makes some purchases for a BBQ at mine tomorrow: chickpeas and seasoning for one of my flagship simple but effective dishes (chana masala), a chicken tikka masala BBQ marinade, and a palak paneer sauce. I also put in an order for half a kilo of paneer (similar to cottage cheese), which they only order in every few months. At other times, Neville Chen and his brother, who man the store in the absence of its Indian owner, will make it for you if you order in advance. Chen is an engaging chap. Chewing on leaf-wrapped, double-hit binglangs that are flecked with sour plum powder, and taking breaks in his narrative to attend to his empire-building in whatever multi-player RPG it is he’s playing, he gives me a detailed rundown of how a Hakka Chinese ended up being born and raised in West Bengal. “The Red Army?” I offer. Today, I went back during my lunch break to pick it up. Neville’s a nice enough chap, warp-speed loquacious, and liberal with the invective, but in a way I like. I do suspect that he is allows computer gaming to dominate, though, when he should be handling his biz. I’m definitely asking for a discount tomorrow. 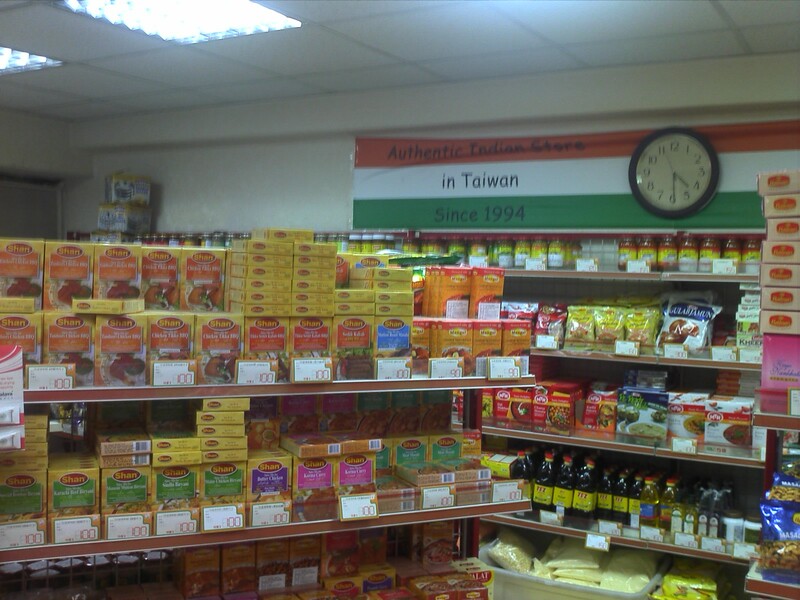 Trinity Indian Stores: 2/F, No.137 Zhongxiao East Rd., Sec. 5, Taipei (台北市忠孝東路五段137號2樓). 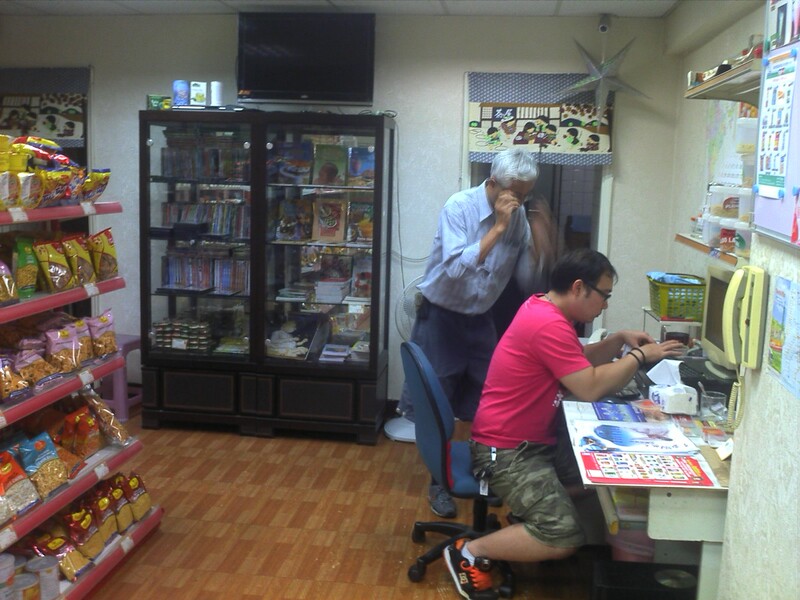 The shop is in a normal residential-type apartment building and is pretty easy to miss. Get out at City Hall (市政府) MRT, exit 4, turn left and walk for a couple of minutes max (if you’re a snail pacer) and you’ll be there. If you get to the corner of Yongji Rd. (永吉路), you’ve gone to far.